New and Used Physician’s Digital Thermometers are for Sale at The Dr’s Toy Store. 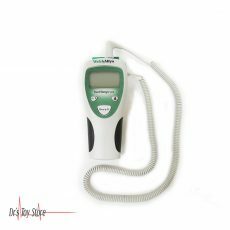 Buy Physician’s Digital Thermometer now for the Best prices. What is a Physician’s Digital Thermometer? Digital thermometers are medical instruments which are used to measure temperature. 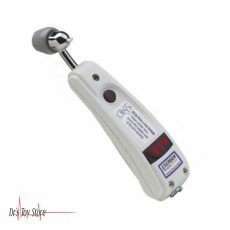 They are easily portable with permanent probes and a suitable digital display. The operation of a digital thermometer depends greatly on the type of sensor. The types of sensors include a resistance temperature detector (RTD), a thermocouple, and a thermistor. The digital thermometer is a thermometer which is operated using a battery with a connected measuring sensor and easy to read LCD display. It produces precise temperature readings. The materials which are used to make the digital thermometer include durable plastic materials and is suitable for all types of cooling devices, such as refrigerated cabinets and display cabinets among others. The size of the digital thermometer makes it perfect for all situations that require accurate reading and easy to read screen displays the temperature of the environment in Celsius. How does a Physician’s Digital Thermometer Work? Digital thermometers are gradually replacing the conventional mercury thermometer simply because of the ease of reading display by the digital thermometer. The wrong idea from people is that it contains mercury. The content of this thermometer is a thermistor inside the tip that is used in order to measure the temperature. 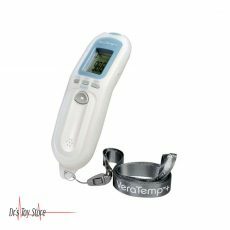 Digital thermometers provide quick and very accurate results throughout the body temperature range. Anyone can make use of a thermometer in order to take the temperature of almost everything. Digital thermometers have been found to be useful in many industries. The temperature must be monitored and regulated in the human body, other living organisms, food, atmosphere, laboratories and for other scientific reasons. Digital thermometers are designed with long, thin probe, perfect for liquids and soft materials. This also indicates that they can get in touch with places which are difficult to access. There is a difference in the design of digital thermometers and this depends on the purpose they serve. For example, a thermometer for testing body temperature may have a plastic coated probe with a small rounded metal tip. While it is possible to use digital thermometers for many different tasks, it is advisable to use another for each task to avoid cross-contamination. 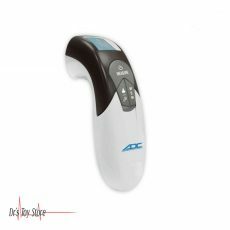 The Adtemp 429 Non-Contact Thermometer is equipped with an infrared sensor that reads the temperature from the middle of the forehead, without contact with the skin. It is a safe and enjoyable experience that reduces the risk of cross-contamination. You will get accurate, legible readings for about a second, with sound feedback as soon as the readings get to completion. It comes with two AAA batteries and a two-year warranty. With the SureTemp Plus 690, the Welch Allyn SureTemp Plus Model 690 helps your facility to increase employee productivity and patient safety. With technology that defines the accuracy of standards, you can be sure that the SureTemp 690 will provide precise and reproducible readings for patients of all ages. The removable/interchangeable oral/axillary and rectal probes and probe wells are designed in order to assist you in reducing the risk of cross-contamination, for staff satisfaction and patient safety. 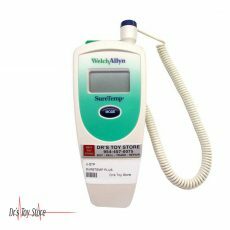 Below is a list of the Best Physician’s Digital Thermometer brands that are available for purchase at Dr’s Toy Store.